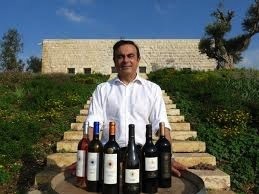 The vision behind the wines of IXSIR is to reveal the best terroirs of Lebanon, some forgotten long since. Planted with noble grape varieties, they are cultivated with respect to sustainable development and integrated viticulture. IXSIR cultivates grapes in areas carefully chosen for their high quality potential, in regions as diverse as Lebanon itself, stretching from Batroun in the North of Jezzine in the South, and nestling beside the most beautiful hillsides of the Bekaa. Winemaking and aging take place in a central winery located on the hills of Batroun, giving birth to blended wines that reveal their richness and uniqueness. The name IXSIR derives from "Iksir", the original Arabic word for "Elixir", a word common to many languages, defining the purest form of all substances, a secret potion that grants eternal youth and love. IXSIR is the fruition of a partnership between friends who share the same passion for wine. Lebanon, and the dream of associating the name of a prominent wine to their fatherland. The partners of the vineyard include former Bordeaux and Lebanese winemakers including the renowned winemaker Gabriel Rivero (ex-Château Sociando-Mallet) and a luxury consultant in the person of Hubert de Boüard, co-owner of the famous Château Angélus, Grand Cru Classé A of Saint-Emilion.